So. Remember how I used to write all sorts of “state of the sleep” posts? Guess what? It’s time for another one! I don’t generally stay tucked in all nice up at the pillow. I use *all* of my available space over the course of the night. With the switch out of the crib, Mommy wanted to be able to see what I was getting up to in my room, and our old monitor was just audio. We still have that one for when Squishy joins the family, but based on recommendations from WeeMasonsMom and Nicci, Mommy got a new WiFi webcam for my room. 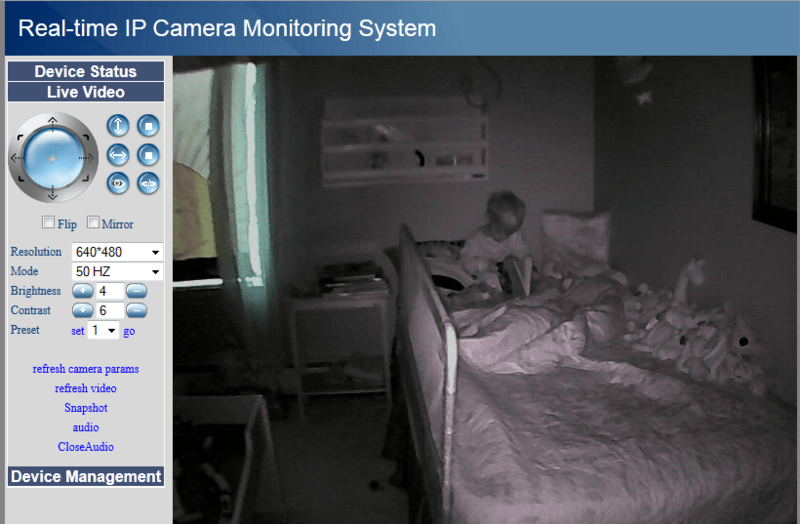 It was about half the price of a video baby monitor, and it works great! It has night vision, and works over our home network, so Mommy and Daddy can spy on me from their computers or even their iPhones! All of this was working out *really* well for the first few days, but last weekend was Daylight Saving Time, and all of a sudden there is SO much light in the mornings! I have gone from sleeping in until 8 or 8:30, to rising with the birds at 6. And, since I’m not confined by my crib anymore, I can get out and play with my trains, or bang on my door until Mommy comes to let me out. …and we both like to snuggle up with a good book! Oh man that stinks! Hopefully things go back to the way they were soon…We are dealing with some lingering DLS issues, too. Hope it resolves in a hurry!!!! I'm still so proud of you Cole for being such a big boy and making such an easy transition to your big boy bed! My daughter had a hard time with daylight savings time. Couple of nights she would wake up at 6 or 7, but today she slept til 8:45. Yay!